When it comes to your Apple ID, security questions can add an extra layer of security to your account. In most cases, we don't have any issues with these questions, but if we forget the answers that we provided, we can quickly become locked out of our own account. So what can you do about this? Luckily, it's not that difficult to reset Apple ID security questions. Today we'll teach you how. Resetting your security questions can be done in a few simple steps, and there are a few different ways that you can do it. 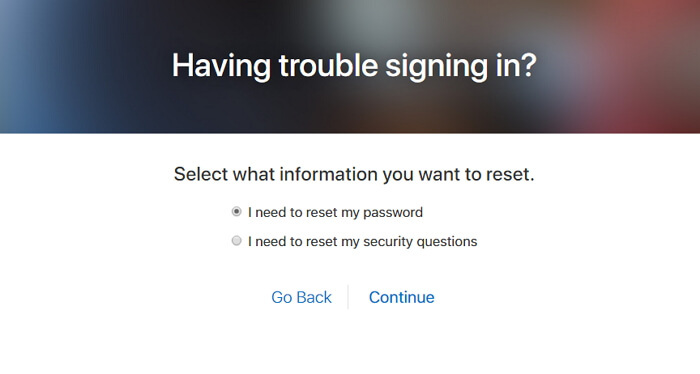 You can reset your security questions on your iPhone itself, you change questions on the iForgot website, or you can contact Apple directly to reset them for you. Even though you forgot your Apple ID and password, it has a solution for you. Let's take a quick look at how to do each of them. Step 1: Go into Settings on your iPhone. Step 2: At the top of the settings screen you will see your name, as well as "Apple ID, iCloud, iTunes, & App Store". Click on this. Step 3: If prompted, enter your Apple ID and password. Step 4: Click on "Password & Security", then click "Change Security Questions". Step 5: Answer the provided security questions, click Agree, and proceed to enter your new security questions. If you don't see the Change Security Questions on your phone, then you can use the iforgot webpage on your phone to reset it. It may differ from iOS versions. Step 3: Choose I need to reset my security questions and click Continue. Step 4: Verify your identity by following the onscreen instructions. Step 5: Select new security questions and answers. It’s not easy to always remember the security questions, so you could have another choice. You could set up two-factor authentication instead, which can keep your account safe and you don’t need to worry about forgetting the security question. If you'd prefer to have someone help you in the resetting process or you can’t just reset Apple ID security questions by the above methods, you can also contact Apple directly. You can contact Apple technical support at 1-800-263-3394. All of the above methods are excellent ways to reset Apple ID security questions, but they all require you to either a) know the answers to your previous questions, and/or b) know your Apple ID and Password. So what happens if you forget your Apple ID, password, or security answers? That is when you turn to a program like iMyFone LockWiper . iMyFone LockWiper is designed for solving such security problems like unlocking Apple ID/iCloud accout when you forgot your password of it, or when you need to just remove the Apple ID from a device. Don’t worry, LockWiper can handle it all with ease. You can fix such issues just by yourself with the help of iMyFone LockWiper! Completely remove any Apple ID from your iPhone with the click of a button. After the removal, you can reset your Apple ID and your security questions. Change your Apple ID and passcode, or create a new one. Have access to all the iOS features and iCloud services of Apple. It also supports iPhone, iPad, iPod touch of all iOS version including iOS 12. Step 1. Download and open iMyFone LockWiper. Step 2. Connect your device. Choose "Unlock Apple ID" to start and click "Start to Unlock". Step 3. The program will start the unlocking process. Step 4. It won’t take long, and then you can reset your Apple ID and security questions. Note: And it's that simple. Once the process is complete, there will no longer be an Apple ID associated with your account. 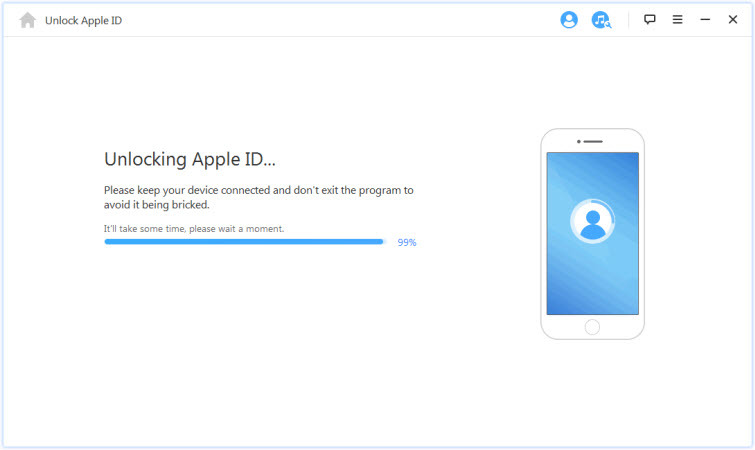 Once finished, you can recreate your Apple ID and reset Apple ID security questions. If you have forgotten your Apple ID security answers, or would like to change your questions for other security reasons, there are several methods that you can use to do so. 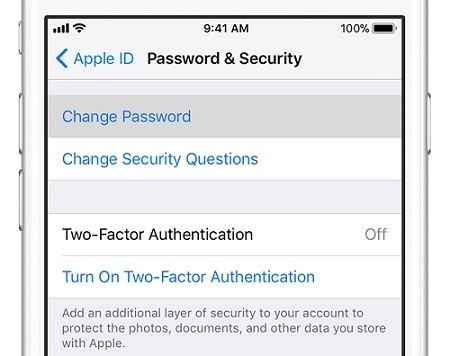 If you have forgotten your password and ID, you may need a more advanced program like iMyFone LockWiper to remove your Apple ID and reset your security questions.